[S11] 1910 United States Federal Census, online , Year: 1910; Census Place: Brutus, Cayuga, New York; Roll: T624_927; Page: 3A; Enumeration District: 0034; FHL microfilm: 1374940. [S87] Ancestry.com, U.S., World War I Draft Registration Cards, 1917-1918 (n.p. : Ancestry.com Operations Inc, unknown publish date), Registration State: New York; Registration County: Oswego; Roll: 1818708; Draft Board: 3. [S20] Ancestry.com, 1830 United States Federal Census (n.p. : Online publication - Provo, UT, USA: Ancestry.com Operations, Inc., 2010. Images reproduced by FamilySearch.Original data - Fifth Census of the United States, 1830. (NARA microfilm publication M19, 201 rolls). Records of the Bureau of the Census, Record Gr, unknown publish date), 1830 US Census; Census Place: Aurelius, Cayuga, New York; Page: 175; NARA Series: M19; Roll Number: 88; Family History Film: 0017148. [S11] 1910 United States Federal Census, online , Year: 1910; Census Place: Savannah, Wayne, New York; Roll: T624_1094; Page: 8B; Enumeration District: 0156; FHL microfilm: 1375107. [S44] Town of Montezuma Records, online http://web.archive.org/web/20020215005729/http://…, (Waybackmachine), Martin, Caroline King May 24, 1894 52 England. [S1] 1870 United States Federal Census, online , Year: 1870; Census Place: Verona, Oneida, New York; Roll: M593_1057; Page: 478A; Image: 218; Family History Library Film: 552556. [S2] 1880 United States Federal Census, online , Year: 1880; Census Place: Vernona, Oneida, New York; Roll: 903; Family History Film: 1254903; Page: 300D; Enumeration District: 148; Image: 0603. Christina McGregor Alexander McGregor Janett Nichols. [S44] Town of Montezuma Records, online http://web.archive.org/web/20020215005729/http://…, (Waybackmachine), Meil Lady M. Feb 14, 1908 37 New York John Wimett Henrett Wright. [S2] 1880 United States Federal Census, online , Year: 1880; Census Place: Vernona, Oneida, New York; Roll: 903; Family History Film: 1254903; Page: 325A; Enumeration District: 149; Image: 0652. [S1] 1870 United States Federal Census, online , Year: 1870; Census Place: Verona, Oneida, New York; Roll: M593_1057; Page: 449B; Image: 161; Family History Library Film: 552556. [S6] Ancestry.com, 1850 United States Federal Census (n.p. : Online publication - Provo, UT, USA: Ancestry.com Operations, Inc., 2009. Images reproduced by FamilySearch.Original data - Seventh Census of the United States, 1850; (National Archives Microfilm Publication M432, 1009 rolls); Records of the Bureau of the, unknown publish date), Year: 1850; Census Place: Vienna, Oneida, New York; Roll: M432_565; Page: 204B; Image: 415. [S65] 1920 United States Federal Census, online , Year: 1920; Census Place: Syracuse Ward 12, Onondaga, New York; Roll: T625_1249; Page: 6B; Enumeration District: 174; Image: 766. [S26] 1900 United States Federal Census, online , Year: 1900; Census Place: Schroeppel, Oswego, New York; Roll: 1144; Page: 8B; Enumeration District: 0146; FHL microfilm: 1241144. [S1] 1870 United States Federal Census, online , Year: 1870; Census Place: Verona, Oneida, New York; Roll: M593_; Page: ; Image: . Elizabeth Rose married Solomon Weaver. 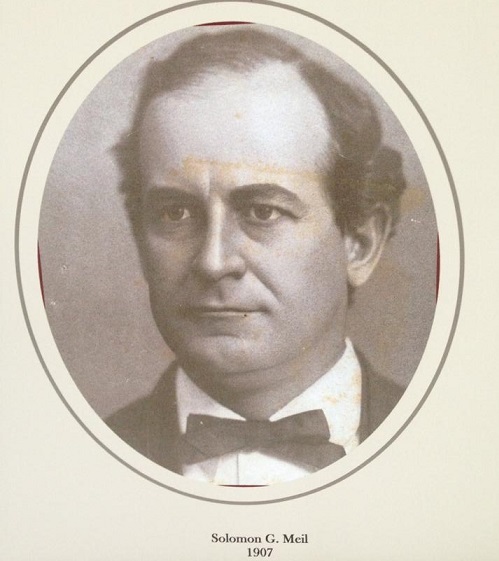 Solomon Weaver married Elizabeth Rose. [S66] 1925 New York, State Census, online , New York State Archives; Albany, New York; State Population Census Schedules, 1925; Election District: 01; Assembly District: 02; City: Syracuse Ward 12; County: Onondaga; Page: 19. [S85] Montezuma Birth Records, online <http://web.archive.org/web/20001110085900/http://…>, Meil, Solomon Leo (m) June 25, 1899 Montezuma Anna Eliza Brown (29) Lima, Oneida Co. Albert G. Meil (34) Cabinet maker New London NY. Find A Grave Memorial# 65796325. Find A Grave Memorial# 65796371. [S11] 1910 United States Federal Census, online , Year: 1910; Census Place: Auburn Ward 6, Cayuga, New York; Roll: T624_928; Page: 5B; Enumeration District: 0018; FHL microfilm: 1374941. [S74] The Citizen Advertiser, Auburn, NY, Mrs. Amanda Moore, 86, formerly of Tivoli, Dutchess County, died Thursday in Auburn City Hospital, following a stroke. For, the past three years Mrs. Moore had resided with her daughter, Mrs. John Coleman in Sennett. She was born at Green River, N. Y. Mrs. Moore Is survived by two daughters, Mrs. John Coleman of Sennett and Mrs. Charles Decke of Auburn; five sons, Melvln Hegadorn of Red Hook, N. Y.; Edward Moore of Clyde, Warren Moore of Tivoli. Ralph Moore of Ossining and Rodney Moore of Auburn; .ten grandsons, nine granddaughters and eight great grandchildren. Funeral services will be held at 2:30 Sunday at the home of Mrs. Coleman in Sennett. Resr. George N. Gates, pastor of Sennett Fedcrated Church, will officiate.